Special WaterShed® formulation resists spills and protects from rain damages. 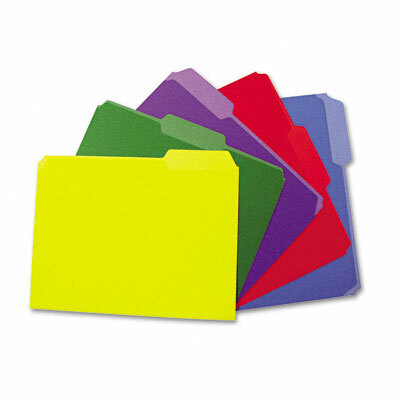 Keep important documents safe and dry. Special WaterShed® formulation resists spills and protects from rain damages. Letter size. 1/3 cut tabs in assorted positions. 11 pt stock. Blue, green, purple, red and yellow.